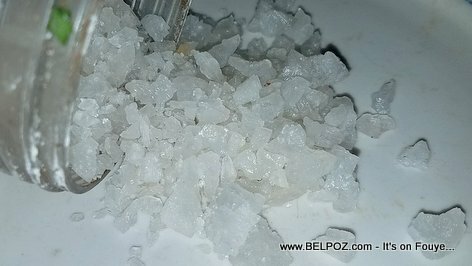 Take a look at this... Natural sea salt from Haiti. Haitians consume more of that bulky sea salt than than the heavily processed table salt. Many people argue that sea salt is healthier than table salt. Related: Stroke and Hypertension in Haiti, are they linked to all that extra SALT in the way Haitians cook? Did you know? A 1/4 teaspoon of salt contains 575 milligrams sodium. The American Heart Association recommends no more than 2,300 milligrams (mg) a day.